I do have an exceptional song to share with you today. Portland's Another Cynthia is one of my favorite bands in the country. In 2006 I named their self-titled debut CD as my dark horse candidate for album of the year. Right now Another Cynthia is working hard to finish a new album. They recently sent me some demos, which I have been sworn to not share - so I won't. Just know that things are only sounding better in the future. Today's Artist of the Day is Another Cynthia. From their album last year, comes the song: "Donkey Kong." 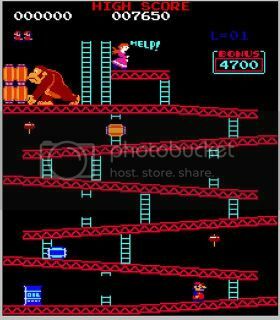 Another Cynthia with "DONKEY KONG"
Like What You Hear? Pick Up the Album! This is hands-down my favorite song from your excellent 2006 song list. Can't wait to hear the new material and see these guys play live!